The Welsh pony and cob—also known as the Welsh Mountain Pony—are the products of a storied history, having faced down challenges from both humans and Mother Nature, resulting in a group of tough, adaptable horses whose flashy style and elegant looks make them very popular choices for the show ring. Adults often use them in harness, and their sizes are perfect for young riders. Welsh cobs are a steady ride for older children and adults, as well. Welsh ponies and cobs, native to Britain—specifically, the Principality of Wales—likely developed from crossings of native ponies with Arabian, Thoroughbred, and Hackney bloodlines. They were bred throughout the hills and mountains of Wales, where the rugged terrain and harsh climate frequently offered only sparse grasses and moss for feed. Generation after generation of exposure to this environment has produced horses that are exceptionally hardy, strong, and adaptable. They've existed for hundreds of years, surviving even King Henry VIII's misguided attempts to leave what he considered a superior horse breed as his legacy. To this end, Parliament passed the Breed of Horses Act of 1535, which decreed that "little horsis and naggis of small stature and valeu be suffered to depasture and also to covour marys and felys of a very small nature.” Translated, this meant that horses considered small or not well conformed were to be destroyed. Five years later, Parliament passed another act forbidding people to keep stallions shorter than 15 hands high, mares less than 13 hands high, and 2-year-old colts under 11.2 hands high. The smallest horses were rounded up from the hills where they grazed and destroyed. Even the nobility had to follow suit, compelled to kill any of their horses that did not meet King Henry VIII’s standards. So thorough was this culling that Henry's successor, Queen Elizabeth I, had difficulty assembling a 3,000-horse cavalry. She abolished Henry's devastating practices, and Welsh ponies and cobs made an astounding recovery. Today, they are among the most popular breeds of horses, with steady growth among their ranks. Welsh ponies and cobs give the impression of substance without being coarse. Ideally, they are deep-chested, with fine, clean-boned legs. Many look somewhat like small but substantial Arabians, particularly with their sharp ears, dished foreheads, and large, expressive eyes. They have lean, elegant necks and strong hindquarters. Welsh ponies and cobs are classified into four sizes. The Welsh Mountain Pony (also known as a Section A Pony) is regarded as the foundation of the breed. It stands at just 12 hands high. Many children learn to ride on Section A Welsh ponies and work their way up. Section B ponies are between 12 and 13.2 hands high. Welsh C is regarded as a cob type. Section Cs are up to 13.2 hands high and have more substantial bone structures overall than Section B Welsh ponies, but they retain the refined look of the smaller ponies. Section D is also a cob type and may be up to 15 hands high. A sturdy section C can carry an adult easily, although adults are more likely to ride the Section D Cob type. Welsh ponies and cobs enjoy largely trouble-free health and long lifespans of up to 35 years. Welsh ponies and cobs were used extensively on farms, in the military, for hunting, and commercially in harness. They are excellent, all-purpose mounts and excellent racers and jumpers. These ponies were originally draft animals, used to pull loads. When horses were the principal mode of transport, they were often used in mining and agriculture, as well. Trekking—known as trail riding in North American—on Welsh ponies is popular in the U.K. The breed has influenced numerous light horse and pony breeds, such as the Pony of the Americas. Welsh ponies and cobs come in all colors, from gray, bay, chestnut, black, and brown to cream, dun, or palomino. Additionally, they can be any roan version of these solid colors. These horses can thank their difficult early history for their amazing hardiness. Adaptable to most environments, they're able to withstand harsh climates and sparse pasture. They may be small, but they exhibit surprising strength. One of the most significant stallions in these horses' history was Dyoll Starlight. Over the course of his career, he amassed significant awards and championships. A feral group of Welsh Ponies lives in the Carneddau mountain region of Snowdonia, Wales. These are direct descendants of the ponies that escaped King Henry's killing squads and have lived wild ever since. Aberystwyth University researchers have determined that they possess a unique genetic makeup, having developed organically without the influence of breeders since the Middle Ages. Known as the Carneddau ponies, they suffered a loss of almost half their number to the exceptionally cold, snowy winter of 2013. Efforts are underway to protect the more than 60 who survived against the additional pressures of the economy and regulation. 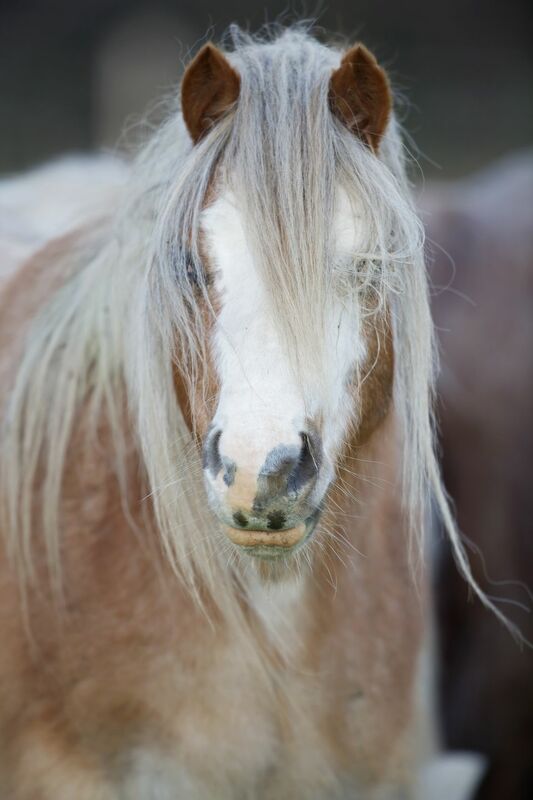 According to Dr. Debbie Nash, senior lecturer, equine and animal science IBERS at Aberystwyth University, “The existence of the Carneddau ponies is threatened by financial pressure such as costs associated with the legal requirement to passport and microchip every horse in the U.K. Populations deemed ‘rare’ receive special exemption from the need for passports and microchips whilst remaining free-living.” This makes the ongoing research into the genetic legacy of these wile horses all the more important to their survival. They play a vital role in the ecology of this habitat. Is a Welsh Pony or Cob Right for You? These ponies suit all levels and ages of riders, from beginners to experts. Their overall excellent health and hardiness make them easy keepers, and they require nothing special in the way of feed. They are known to be sociable, smart, trustworthy horses that are easy to work with. Welsh pony and cob shows put their many talents on full display, and they are shown by adults and children alike. Because they can be ridden and driven, they can be enjoyed by the whole family. Also notable is a mischievous streak, making them the "troublemakers" among ponies—but it is this very strength of disposition that makes them a popular choice among those who appreciate small, loyal, flexible breeds.